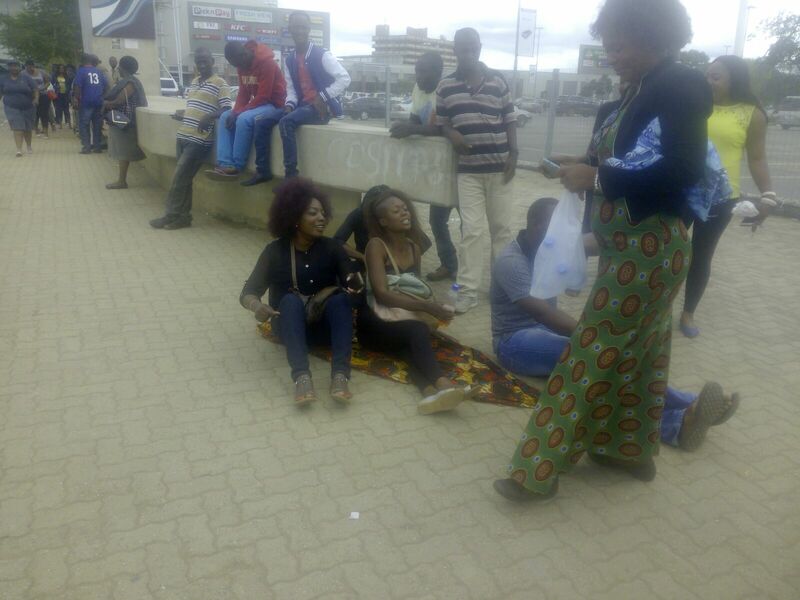 UPND supporters are keeping vigil around Lusaka central police where their vice- president Geoffrey Mwamba is detained. 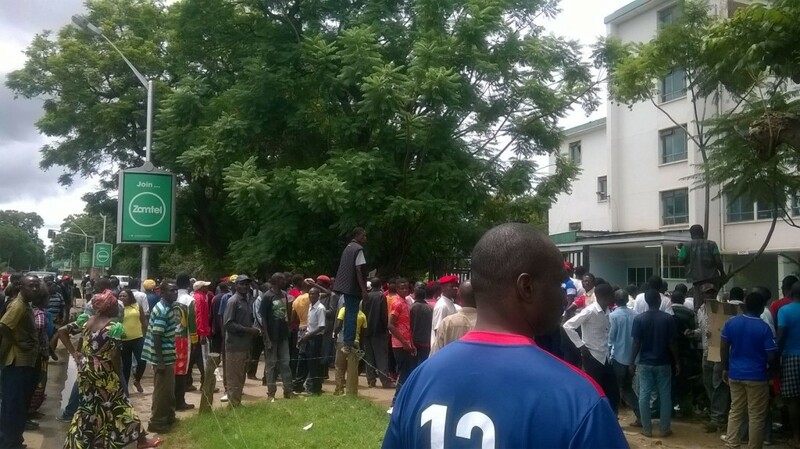 The supporters have refused to go home and leave their leader alone fearing that the PF will kill him. 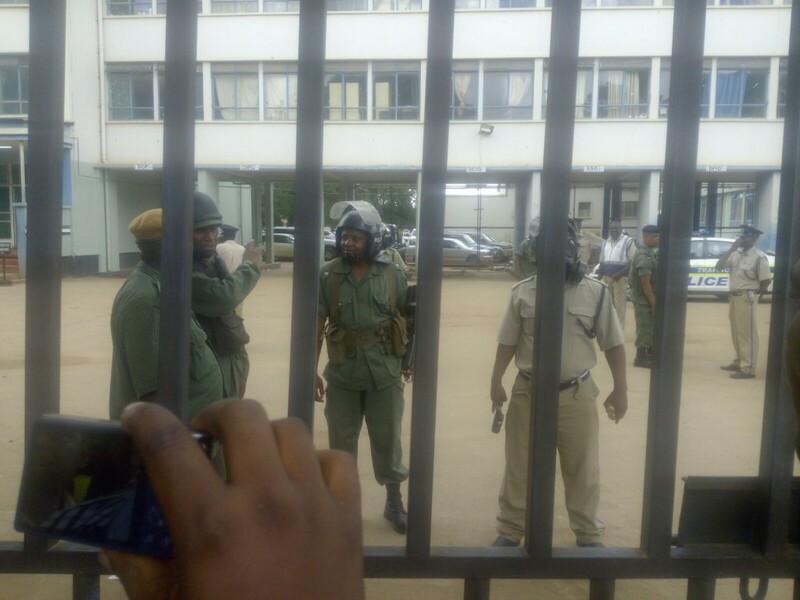 Once in a while, UPND supporters engage the police in skirmishes and taunts while the police respond by firing teargas. 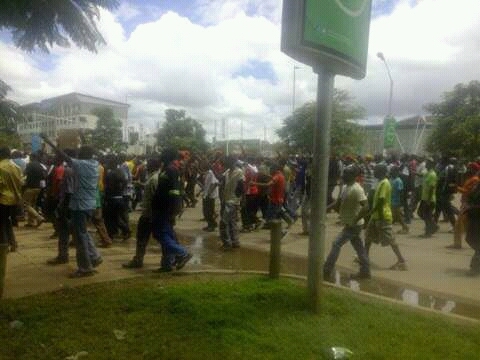 The supporters would scamper to the nearby shopping mall, buy water and return to the police station.